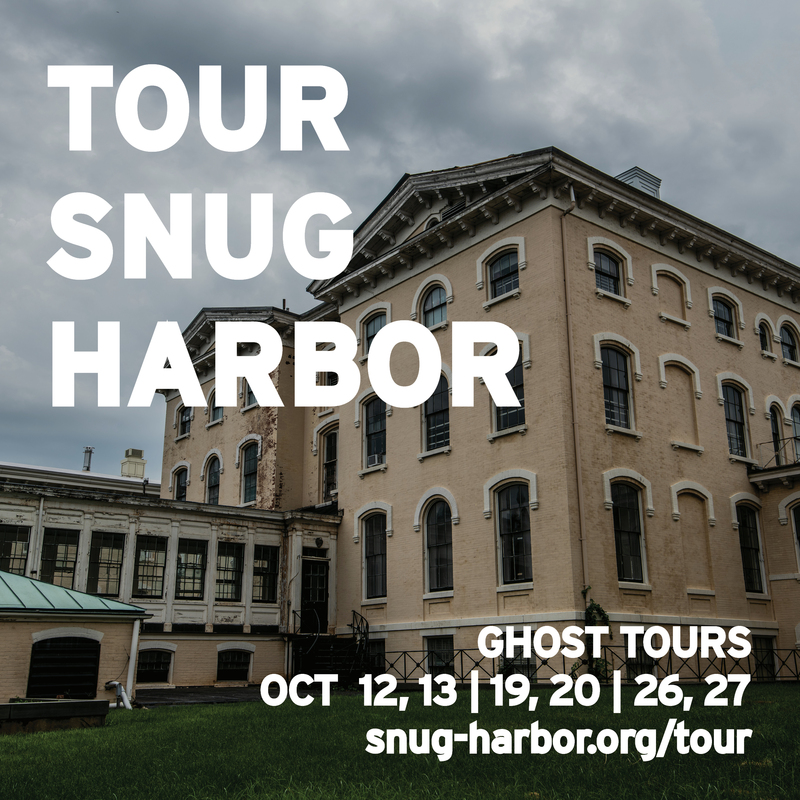 Rediscover Snug Harbor on October’s Ghost Tour: The Tale of the Matron…if you dare. With two 75-minute tours on Fridays and Saturdays throughout October 2018, you and your friends will be scared out of your wits…by true historical events that took place at Sailors’ Snug Harbor in 1863. All tours begin at the Visitor Information Booth on Chapel Road with $20 admission ($15 for Snug Harbor Members). The Tale of the Matron is an historically horrifying reenactment of events that took place at Sailors’ Snug Harbor in 1863. Guided by visuals, evocative scents, and startling vignettes, your 75-minute tour will take place both indoors and out, and enters three buildings that are typically closed to the public: the Matron’s House, the Butcher’s Cottage, and the former Surgeon’s House (now known as the Governor’s House). Each space has its own unique connection with history, life, and the afterlife.